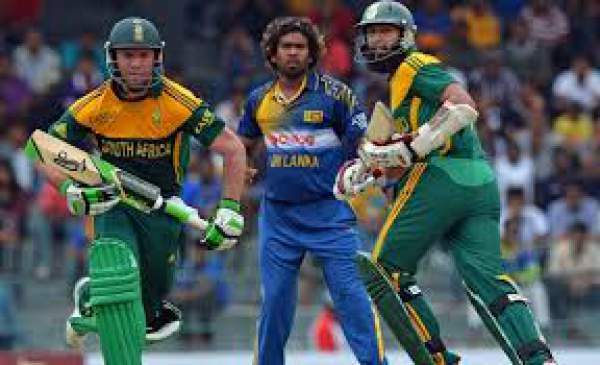 South Africa vs Sri Lanka live streaming (SA vs SL) 2nd ODI match is available online. You can feel free to watch Sri Lanka v South Africa game on tensports.com, OZEE, and Ditto TV. Moreover, the television live telecast will be made available on channels like Ten Sports 1 HD and Ten 3. Today is the second one day game of the five -match series between the two nations. The RSA and SriLanka will play it at Kingsmead, Durban. The South Africa vs Sri Lanka live streaming, and score updates are on this page. The hosts have already take a lead of 1-0. Watch: India vs England 3rd T20. With the lead, the Proteas would like to keep the winning momentum and eventually clinch the one day series. While the SriLanka will have the reconsider its team combination and better the playing 11 men in order to level the series with today’s game. The South African cricket team defeated the Sri Lankan with its team effort and experience. In the South Africa vs Sri Lanka series-opening match, SriLanka team wasn’t able to withstand and showed their inexperience. The lackluster was evident from the result. Today, the visitors will get to play on a hard and bouncy pitch at Kingsmead. If the pitch comes out to the same, it will prove advantageous to the hosts. SL batting lineup spilled like a deck of cards against seam bowling in the Tests. There will be a similar condition at the ground today. Till now, the top order of the batting lineup has always failed in this tour. They would be hoping for an easier target and respond to the opponents’ bowlers with this match. SL opener Niroshan Dickwella is required to open brilliantly to provide support to the middle order and post a good total. Nuwan Kulasekara will lead the bowling department in the ground. Also, he will be required to take the load of inexperienced bowlers at his end. SL captain Tharanga will need to play an important role and give his best both as a batsman and the skipper. After getting defeating in the T20 series, the Proteas would be looking to avenge it with its regular captain AB de Villiers as he has returned for this series. Both the sides were against each other in the ICC Cricket World Cup 2003 at this venue. The match ended up in a tie with the rain interruptions. The tie resulted in the exclusion of the hosts from the tournament. Since then, it is the first match between the two teams. Thus, the hosts will want to make new and sweeter memories forgetting the old ones and move forward in the competition.